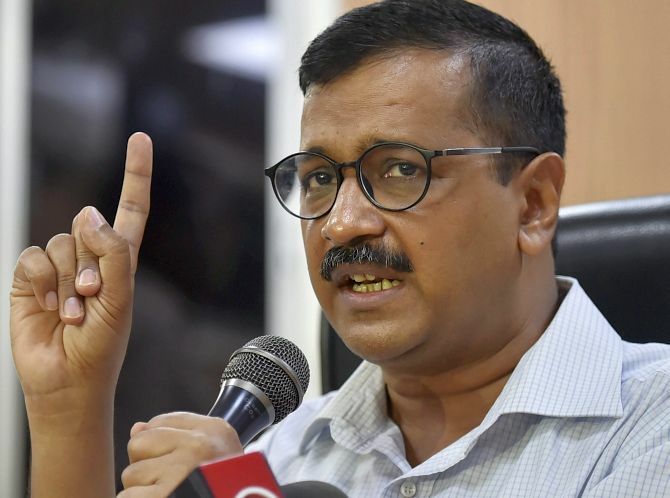 Delhi Chief Minister Arvind Kejriwal on Thursday wrote to Prime Minister Narendra Modi, seeking his intervention to end the IAS officers’ “strike” claiming that Lt Governor Anil Baijal was doing “nothing” to break the impasse. In his letter to Modi, Kejriwal cited instances when the government work was stuck as the officers have not been attending meetings with ministers for the past three months. He said cleaning of drains before monsoon, setting up of mohalla clinics and measures to curb air pollution in Delhi are stuck because of the alleged strike by the IAS officers. He said no meeting has taken place between IAS officers and ministers for the past three months to address the issue of air pollution, even as toxic pollutants in the air reached to dangerous levels over the past three days. The chief minister said the Centre and the L-G have control over the IAS officers and had they been under the Delhi government, their “strike” would have ended within hours. Kejriwal wrote to Modi on the fourth day of the sit-in he and his ministers are holding at Baijal’s office, demanding that the L-G direct the IAS officers to end their “strike” and act against those who have struck work. They also want the L-G to approve the proposal for doorstep delivery of ration. “Due to strike, several works are being affected. As L-G is doing nothing to end IAS officers’ strike, Delhi government and the people of Delhi request you (PM) with folded hands to get the strike called off immediately so that works of Delhi can resume,” Kejriwal said in the letter. He said the cleaning of drains should start before the monsoon, but officers have not been attending meetings due to which work is suffering. Due to the strike, setting up of new mohalla clinics and poly clinics has come to a halt, he said. “Pollution is the biggest problem in Delhi. Earlier, there was a review and planning meeting in every 15 days on the issue, but due to strike, there has been no such meeting in the last three months,” the chief minister alleged. In the morning, a team of doctors conducted a health check up of Kejriwal’s deputy Manish Sisodia and Health Minister Satyendar Jain at the L-G office, who are on indefinite hunger strike to press for their demands. Kejriwal has said they will not leave the L-G office until their demands are met. The Aam Aadmi Party has threatened to stage a “dharna” at the Prime Minister’s Office on Sunday if a solution to the issue was not found this week. According to the AAP government, officers have not been attending meetings with the ministers and not picking up their calls due to which government work for people was suffering. However, IAS officers’ association has claimed that no officer has been on strike and no work has been affected. The L-G’s office recently slammed Kejriwal’s sit-in, saying it was one more “dharna without reason”.